War has divided the galaxy. A primarch falls. The Palace is fortified. A Legion is saved. Agents of the Imperium move in secret, while traitors conspire against them. These tales are legendary – from the farthest reaches of Ultramar to the innermost chambers of the Imperial Palace, they will be retold for millennia still to come. 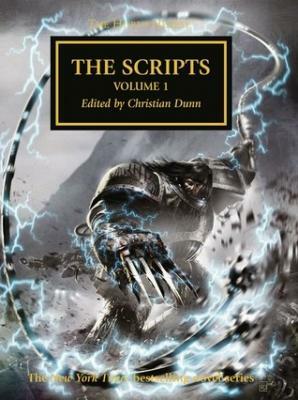 Within these pages you will find the complete production scripts for the first six Horus Heresy audio dramas – ‘The Dark King’, ‘The Lightning Tower’, ‘Raven’s Flight’, ‘Garro: Oath of Moment’, ‘Garro: Legion of One’ and ‘Butcher’s Nails’. With full soundtrack direction, character notes, and an exclusive introduction from editor Christian Dunn, take a look behind the scenes of Black Library’s most popular series..